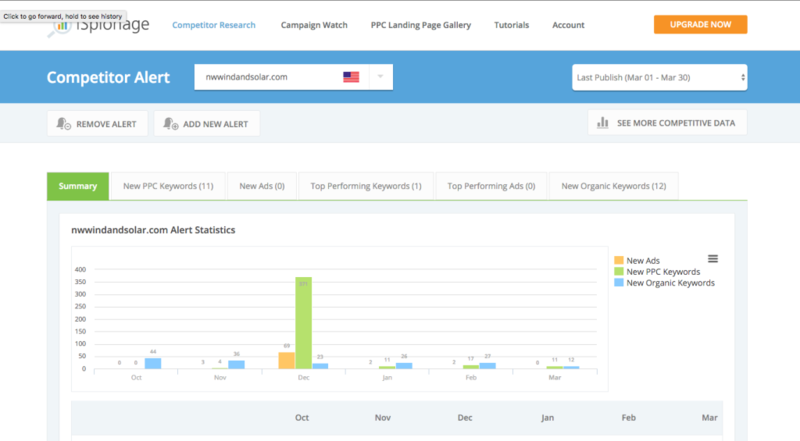 If you’re a DIYer on a shoestring budget, this powerhouse of a tool serves up critical insights to your PPC game. River Dog Marketing usually doesn’t offer PPC services (there are exceptions), because there’s so much more great marketing to be done first before randomly throwing ads at people. However, if you’re committed to PPC, then this tool is for you. The free version of iSpionage shows your competitor key words, their landing pages and more. We’ll take you on a brief tour, but you’ll want to check it out – there’s loads more to this tool. 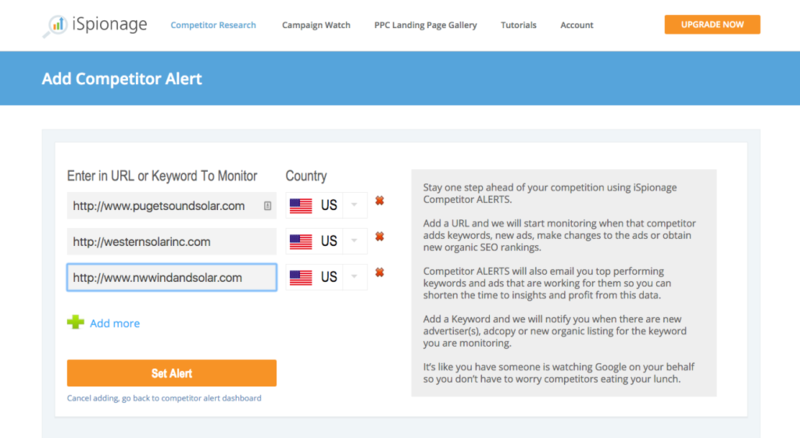 After you sign up, click the Competitor Alert under Competitor Research. The free version allows up to three competitor URLs. Notice in the Competitor Alert box, it will default to the first competitor URL you submitted. 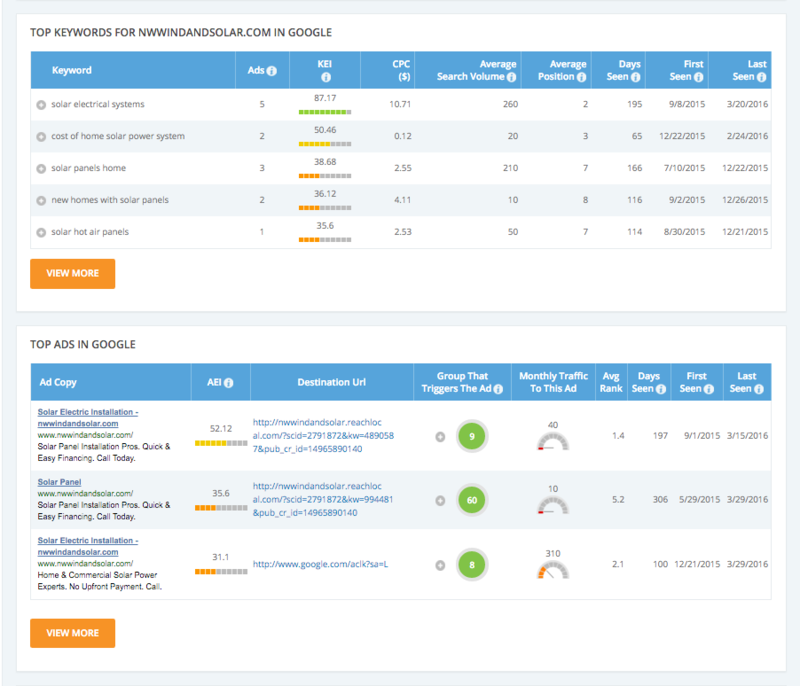 As you scroll down, you now have a window into what keywords the competitor is using and how each is performing. From an overview to detailed breakdowns, you get an amazing view into your competitor’s keyword focus, and how those words are working for them. You even get a glimpse of what PCC budget you’ll need to compete head-to-head. 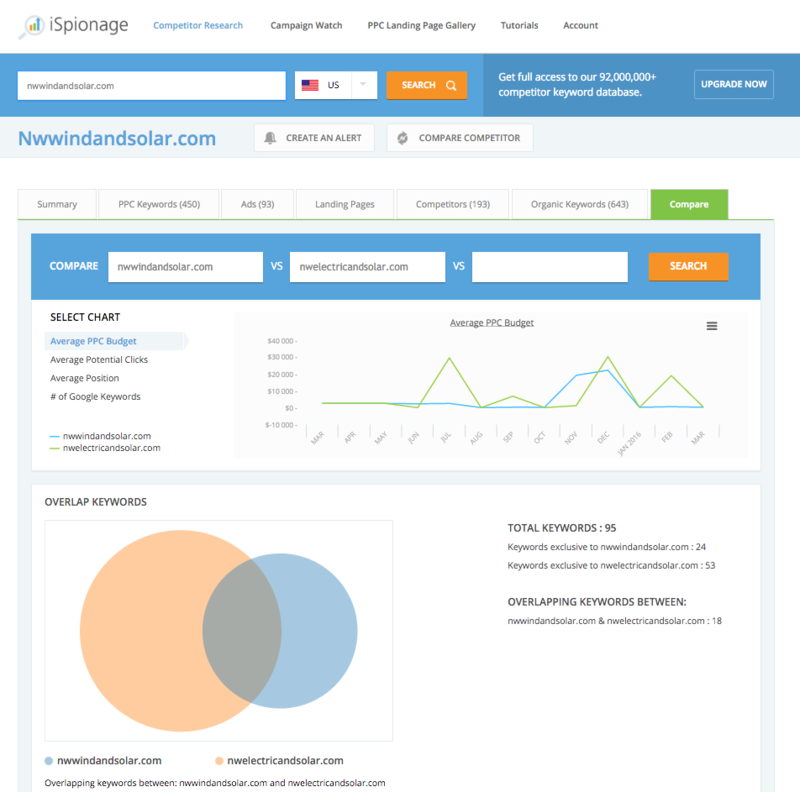 We love this tool because it gives you insights about your competitors’ content and your own. Take a page from these signals – they point you to content opportunities, and hint at ways to be competitive organically without spending a dime on PPC. Write relevant content using those search terms. Beef up your blogs, your social presence and more. You can even see how competitors match up against each other, and where there is overlap. By being able to see the example of your competitors’ keyword activities and performances, you’ll understand how their strategy is working for them, and what you can apply to your own content. It’s one of the many tools we use every day to stay on top of our clients’ content needs. We hope you find it as valuable as we do! Longtime brand and marketing professional with a special fondness for delivering the best customer experience design and a zest for helping local companies build strong communities.